Spick & Span window cleaning are delighted to offer residential window cleaning services in Kensington W8. 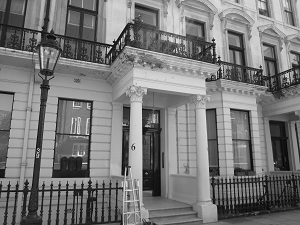 As window cleaners based very near to Kensington W8 Spick & Span window cleaners offer residential and commercial window cleaning in Kensington of a very high standard.Whether the property in Kensington is your own,is your bosses, or you manage the property, Spick & Span window cleaners, provide a bespoke, professional window cleaning service for all in the within W8 postal code area as well as other areas in borough of Kensington and Chelsea. Spick & Span window cleaners are reputable, professional Kensington window cleaners who work in Kensington W8, and not ‘a man with a ladder’ type, Kensington window cleaner company. Spick & Span window cleaners are well equipped reliable professionals that provide tailor made window cleaning services of the highest level within Kensington W8 . Spick & Span window cleaners can provide references and proof of their Liability insurance cover, should you require. Spick & Span window cleaners also have CRB clearance, So you can book a window cleaner to come to your property in Kensington and have complete confidence, and peace of mind. Why choose Spick & Span’s Kensington W8 window cleaner services? Spick & Span window cleaners have experience of cleaning windows in Kensington W8. Spick & Span window cleaners take care in and around the properties that they clean. Spick & Span window cleaners have convenient payment methods. Spick & Span window cleaners are experts in cleaning internal glass sheets and walls. Spick & Span window cleaners have tools that can clean difficult to reach internal glass areas. Spick & Span use dust sheets to protect walls and antique furniture when window cleaning. Spick & Span window cleaners work along with property managers and house staff. Spick & Span can leave an invoice after the work has been completed and accept BACS payments. Spick & Span are happy to offer window cleaning services in Kensington W8 and W14. Spick & Span window cleaners carry out one-off job window cleaning and window cleaning on an ad-hoc basis in Kensington W8. We provide a same-day and immediate response window cleaning service in Kensington W8, whenever possible, although this may cost more.